January was the first official month that all of Bonaire Tourism’s social media accounts were redesigned to promote and grow only the North American market and all posts were in English. 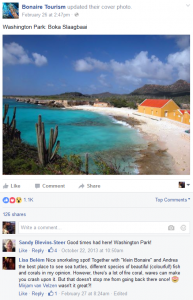 Our colleagues at TCB-Europe and TCB-South America established their own social media accounts and in their own respective languages. 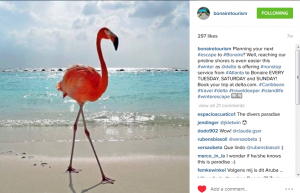 BonaireTourism’s Facebook, Twitter and Instagram are now dedicated to North American engagement. 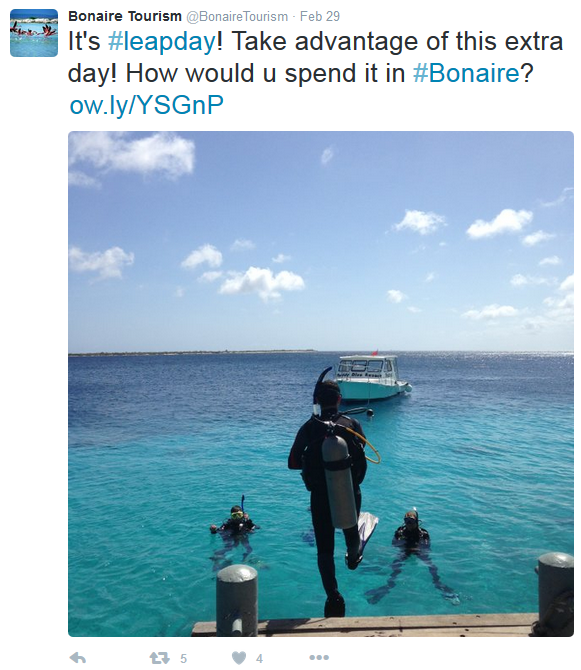 As a result of this change, BonaireTourism’s reach and engagement with our followers has increased by over 40%. 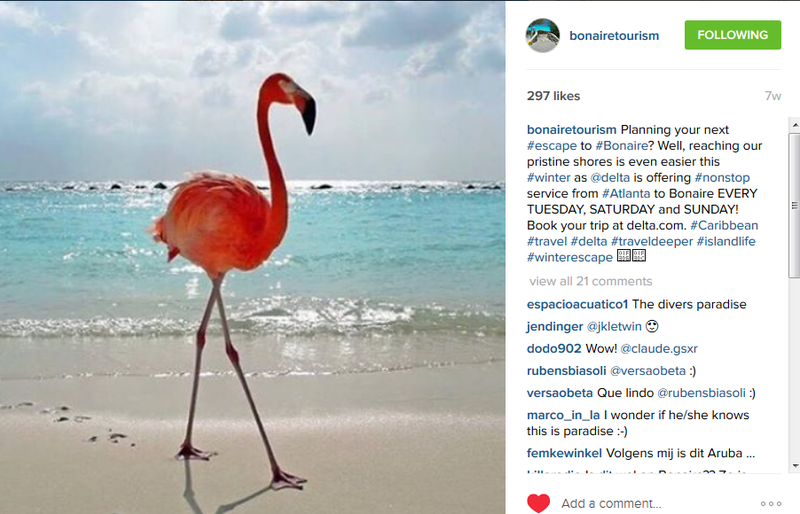 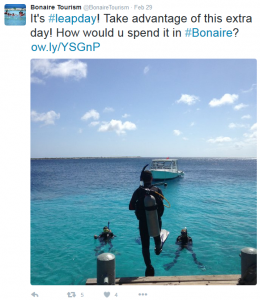 @BonaireTourism has a combined social media following of over 39,126.